Rosemary crossed her legs, folded her arms across her chest, and tried to focus on the bishop's final prayer as he wrapped up the worship service. Saul Petersheim was making that a difficult task. She'd made it clear to Saul that she was not interested in dating him, but the man still gave it his best shot from time to time. I haven't read any "Amish" books. I've been tempted though. Another Amish book! I love these; Saul needs to lay off though ha ha! I'm interested in the Amish, but hadn't thought of a book about them. I hope you're enjoying Rooted in Love, Freda. 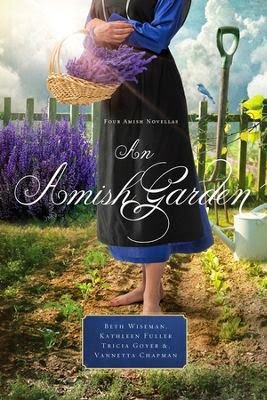 I have enjoyed the Amish-themed stories I have read so far. Here's my TT post for this week. Sounds like a romance with an unusual twist. The Amish connection should be interesting. I'm not into Amish books, but your teaser looks lovely. I like your teaser. It sounds like a good book. I haven't read any of the Amish books out there, either. But some of them do seem very intriguing. Good teaser! Somehow, I never think of the Amish being able to "date." Love the cover will have to try an Amish book. I find Amish books so interesting! I hope you're loving it! I like this teaser and a very nice cover, too. Can't blame a guy for trying now and then. Come's with the territory, annoying though it may be.